Hair Nano Steamer Machine (Table Type), Professional Hair Care Machine - High quality Taiwan Hair Nano Steamer Machine (Table Type), Professional Hair Care Machine provides by Jean-Modern's Ind. Co., Ltd. 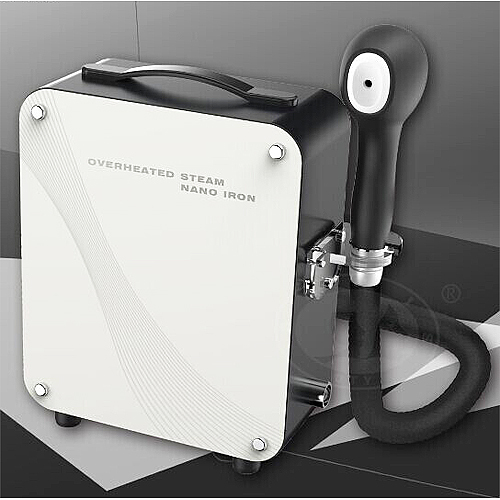 The Nano Steamer device is use the Superheated steam generating device, Make the liquid vapor into single water molecules, and the water molecules diameter is about 0.26nm. The water molecules with heating energy, It can penetrate the gap of approximately 1nm cuticle, direct between the fiber internal filling material between the hair beam. It will improve the Water supplement and nutrition and hair care products import on hair, to repair the hair and enhanced hair products effect. We mainly export the latest beauty projects to beauty salons and supply the distributors with Hair care shampoo and Lotion, DIY Basic Devices for wholesale and all kinds of OEM & ODM services.